With the official release of the iPad just days away, the reviews from some of the most respected media outlets and Apple enthusiasts have been steadily rolling in. For those of you that are still considering whether or not to purchase an iPad, or those that are just interested in seeing what some of the experts have to say, below are some of snippets of different reviews from major media outlets and links to the full reviews. You can also check out at an iPad unveiling from Twit.tv and a video review from PC Mag here. If any of our readers are lucky enough to get their hands on an iPad in the coming days, we would love to hear about your experience. “It turns out the iPad isn’t as much a laptop replacement as I thought (though it could easily be used as one). Instead, it’s an entirely new category of mobile device. For example, now when I want to surf the Web from the couch or back deck, the iPad is the device I choose. Starbucks? Same thing. Think of the iPad as a new arrow in your technology quiver, an arrow that will often be the best tool for a given task. 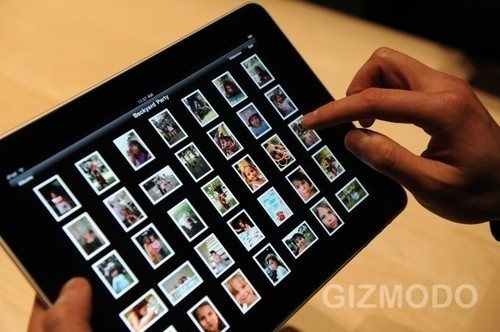 “Maybe the most exciting thing about iPad is the apps that aren’t here yet. The book-film-game hybrid someone will bust out in a year, redefining the experience of each, and suggesting some new nouns and verbs in the process. Or an augmented reality lens from NASA that lets you hold the thing up to the sky and pinpoint where the ISS is, next to what constellation, read the names and see the faces of the crew members, check how those fuel cells are holding up. Previous Entry: Is Splinter Cell Conviction Coming to PS3?